Welcome To Our Website Homepage! Farmington Limousine is a party bus company based in Farmington, Michigan where you can rent the most exciting and enticing limo buses that you've ever seen! We've built our company on the strength of our buses, purchasing only the kinds of vehicles that rate ooh's and aah's from our customers! 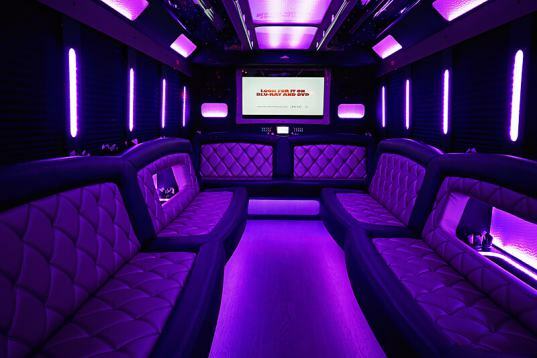 These sensational Michigan party buses feature such necessities as comfortable leather seating and crisp hardwood floors, as well as entertainment extras such as large screen HDTVs with DVD players and super high quality audio systems with CD and iPod capabilities! 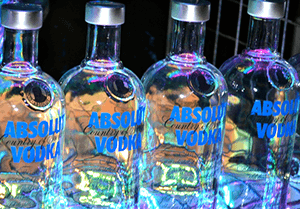 Everything you could desire, right at your fingertips, courtesy of Farmington Party Bus. As you'll see on the pages that follow, the perks of doing business with Detroit Limousine go far beyond just the vehicles that we have collected. You'll have an excellent driver at your service, and not just an ordinary CDL licensed driver, but a true pro chauffeur. These professionals know their way around the Metro Detroit area better than anyone you know... even better than any GPS system you can buy! That's because they know all the best routes to beat the traffic and to get you where you're going safely and on time in your top of the line luxury vehicle. They've got a GPS system on board too though, so that you never have to bother to look up a hard-to-find address! Farmington Limo caters to all of your desire. There isn't a limousine or limo bus around that will indulge like we do. 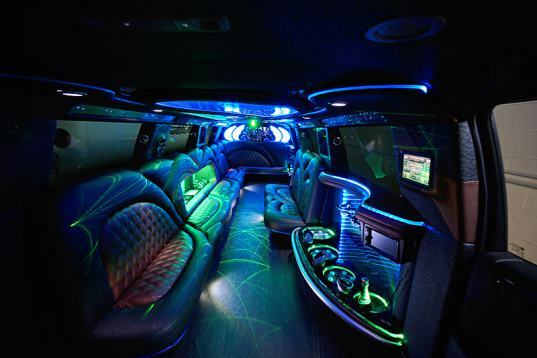 Each of our limousines and limo buses feature advanced interiors for your entertainment and pleasure. Inferiority is a trait that we do not have. When dealing with us you're placing yourself in the magnifence of luxury treatment. Everything we have grant to our clients is the apex of its kind. Our Detroit Limo Service only hires the finest customer service representatives. We want to make sure that who you're interacting with is kind and knowledgeable. The reception and service you get from our agents is a reflection of our company. Party Bus Detroit doens't dwell in anything that's less than superior. Therefore we have a strenuous hiring process when selecting our customer service agents. Your saftey is as important to us as it is to the people in your life. What you do in our limousines and limo buses is your business (except for smoking that's not allowed). The same cannot be said about the people who drive you to your destination. Every driver that is hired by our Farmington transportation company goes through a scrutinous pre-employment process. First and foremost our drivers must have a CDL when applying. Any driver seeking employment with us without a CDL is automatically disqualified. Also, we regularly perform alcohol and drug testing on our drivers. Safety is not a laughing matter to us. Thus we go the distance to ensure that your safe to the best of our ability. That's a promise. Furthermore, as a company that excels in luxury and quality, we only provide the most elegant vehicles for you. Limousine or limo bus; it doesn't matter. Whichever you decide to use, you will be impressed by its interior and exterior. The exteriors of our limousines and limo buses give you the prominence necessary to make a statement at your event. 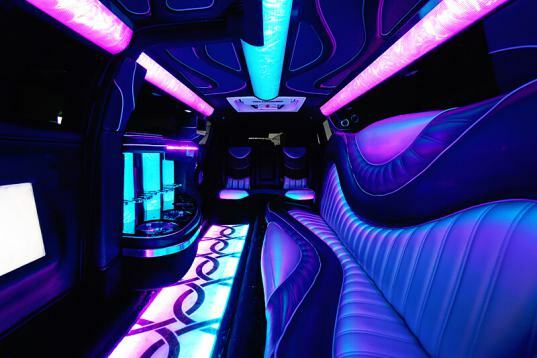 Our exquisite interiors of our limousines and limo buses channel the party vibe you need for your event. Both our limousines and limo buses are true marvels to behold. That's because they know all the best routes to beat the traffic and to get you where you're going safely and on time in your Detroit Limousine vehicle. Our clients never come back disappointed when using our services. In fact we've had a few instances of people enjoying their ride more than their event. Experience luxury that is like something you have never experienced before. There's a limousine and limo bus ready and waiting for you. 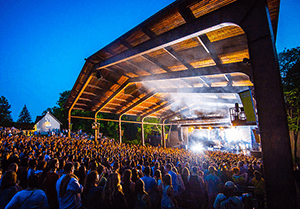 We take our customers to all types of events in the Farmington and Detroit area, including all kinds of private parties like weddings and birthdays, pre-event celebrations like bachelorette or bachelor parties or bridal showers, and even to conventions and sporting events, as well as corporate and business events. There's nothing more important to us than your satisfaction and we'd love to show you just how high quality an experience is using us. Just give us a call at 248-655-7655 or send us an email at info@farmingtonlimousine.com and we'll show you just that! 33920 Alta Loma Dr, Farmington MI 48335 - Copyright © 2019 Farmington Limousine. All Rights Reserved.